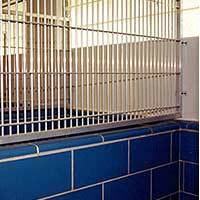 LGL Animal Care Products offers an extensive line of gates, modular gate panels, latches, wall partitions, and flooring options for animal kennels. 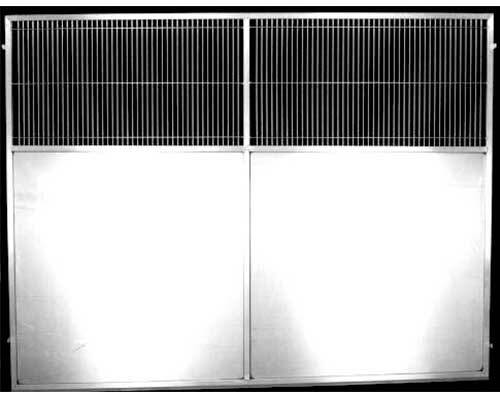 The modular gate panels are completely framed as is the gate itself. This makes for a stronger, smoother acting gate. 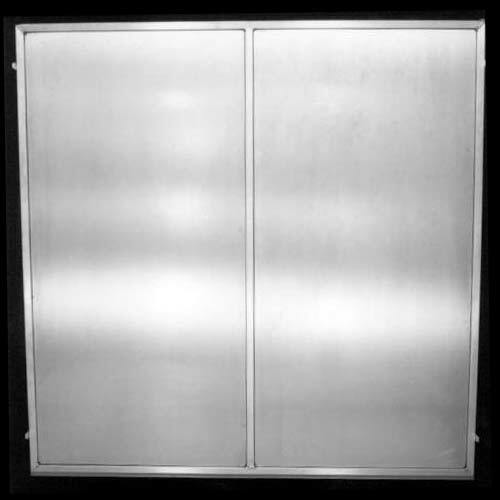 Our unique stainless steel pivotal hinge and latch allows the gate to open inward as well as outward. This is very important in narrow hallways or certain animal control situations. Please specify right or left hand latches when ordering. 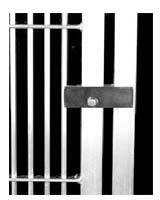 Please note closer flat bar spacing on the lower portion of gate. 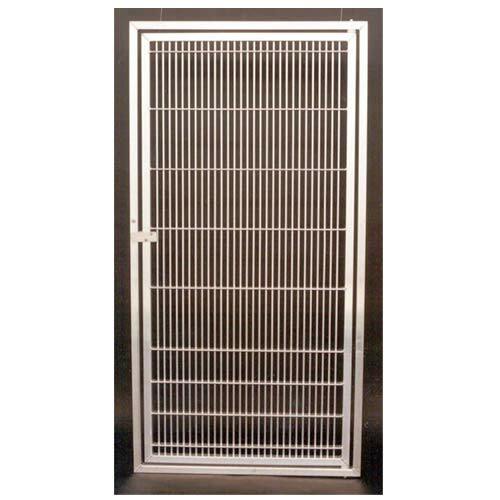 This strengthens gate where dogs tend to chew. 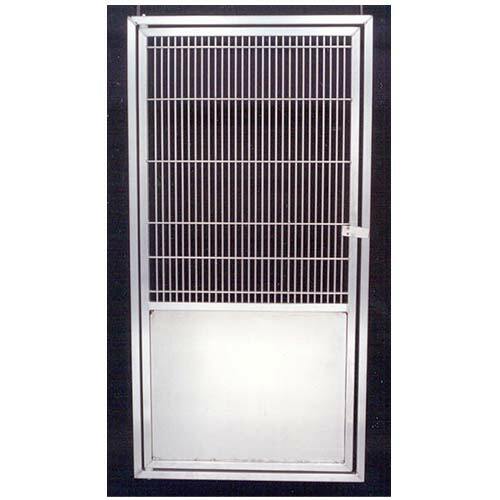 Ideal where additional animal privacy is required or for preventing animals from urinating in hallways. 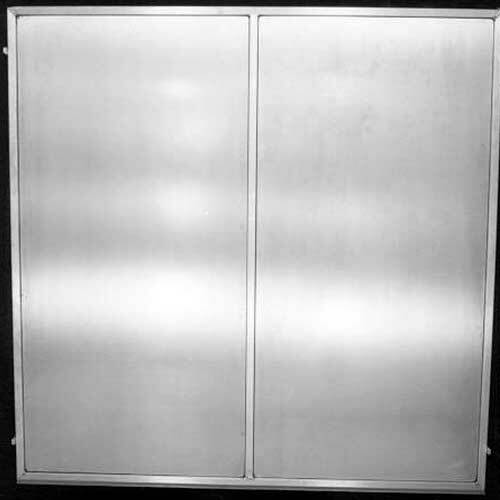 Horizontal sliding doors travel on stainless track suspended from top of gate. This gravity latch is stainless steel. It allows individuals to shut a door hands free. This latch does not allow the gate to open inward. 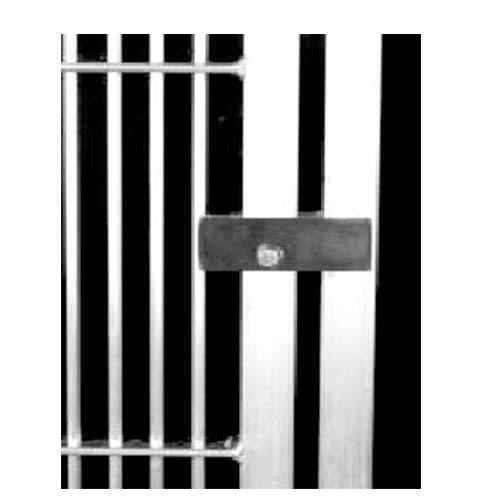 The latch has an optional lock and secures the gate in two locations. This yoke latch is stainless steel. 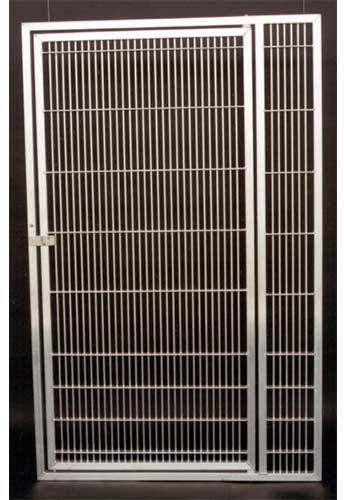 It is a lockable gate that will open in as well as out. It is a simple, yet trouble-free latch. Aids in closing off above an existing tile wall. 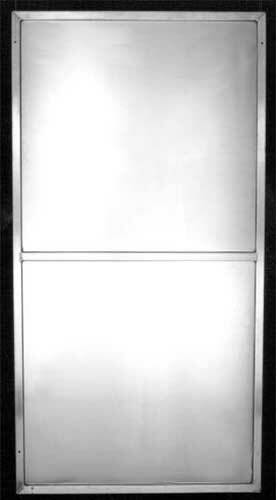 Reference drawing number 4. 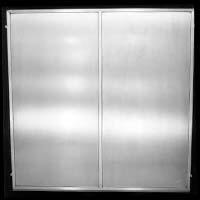 Our partition panels can be custom fabricated to any desired length to help meet your specific specifications. 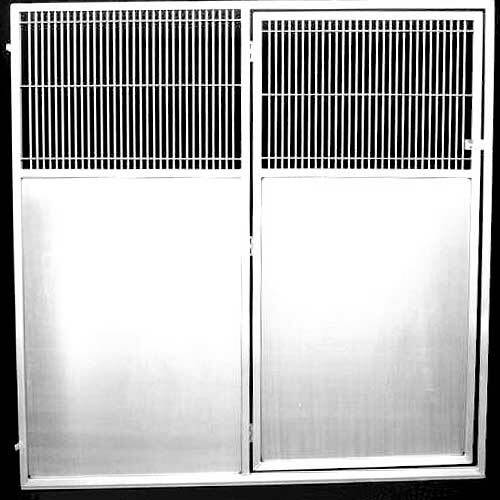 Used where you do not need isolation between adjoining kennels and where complete visibility and maximum air flow is essential. 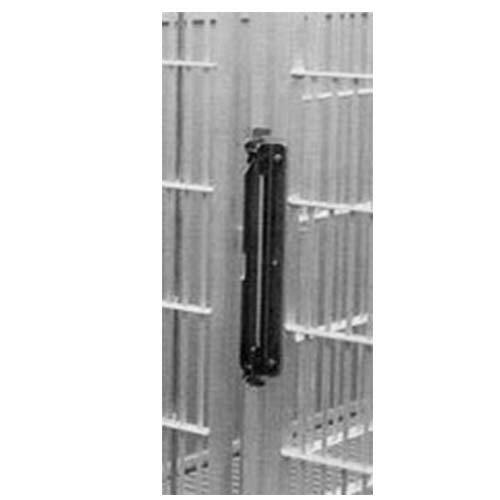 This unique feature allows access to adjoining kennels or for converting a small pen into a larger pen. 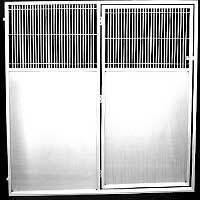 This panel is used where complete isolation between adjoining kennels is required or where a dry wall is to be protected. 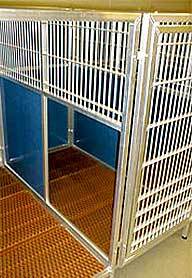 Aids in isolating animals where kennels are back to back and promotes maximum light levels and air flow. 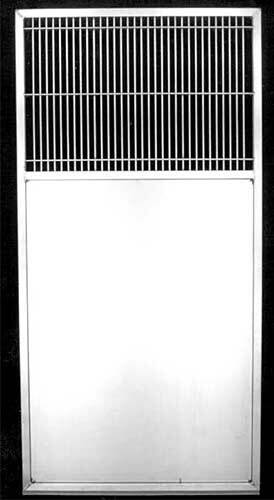 Designed to protect dry walls. 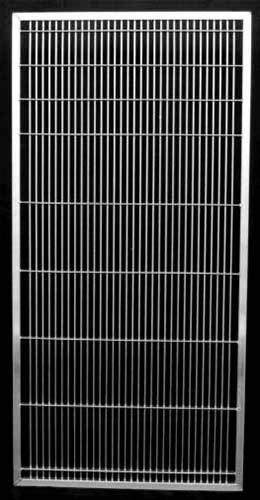 These panels are a necessity when designing a free standing kennel system. 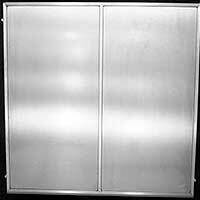 Used in conjunction with double front panels where a removable partition panel is specified. 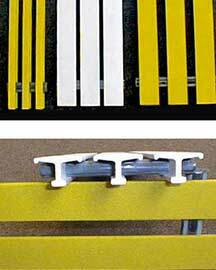 Designed to prevent animals from escaping and for protecting against miss mating. All flooring is made of USDA-accepted, plastisol-coated metal, carbon steel, or aluminum and is oven-cured to a durometer of 90+. Prevents injuries and speeds up the healing process. 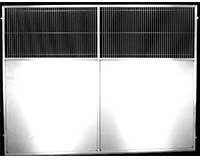 The vinyl acts as a soft, easy-to-clean surface while the chemical retards growth of bacteria and fungi. 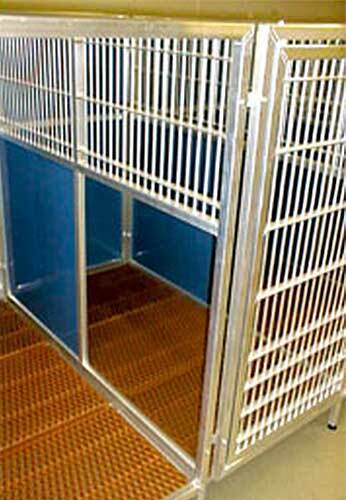 LGL Animal Care Products, Inc. offers a new poly flooring for your raised floor kennels. 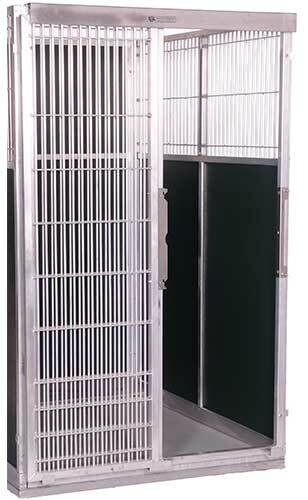 The plastic flooring is made from a high impact virgin polypropylene material and the heavy-duty, lightweight design will hold up in any raised floor kennel. 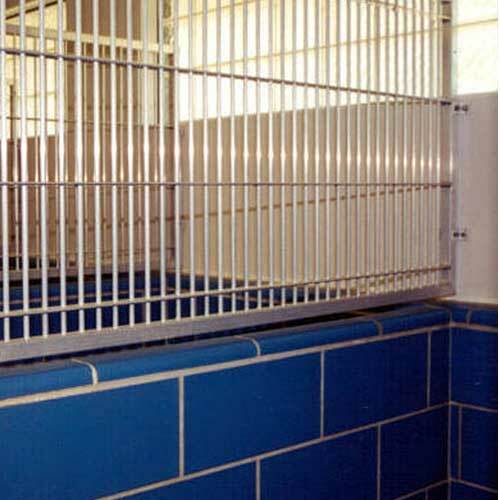 Fiberglass slatted raised flooring has many advantages in housing animals using a raised floor system. 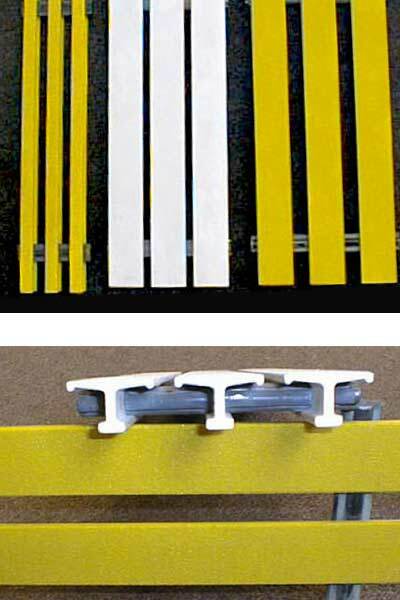 Fiberglass flooring will have a 3/4" or 3/8" spacing between slats, shall be grey in color and have a fine, medium or coarse grit surface. 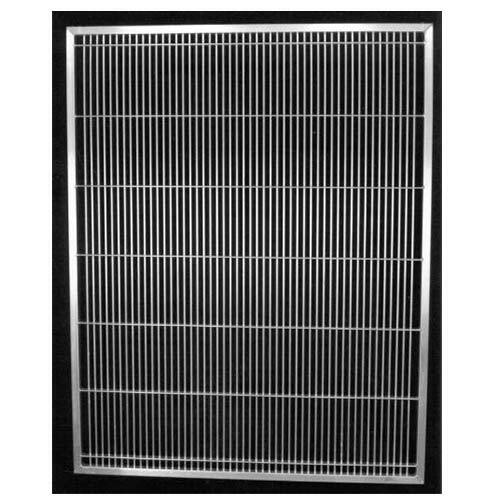 Keeps animals up off the floor therefore keeping the cleaner while providing a warm surface to lay on. 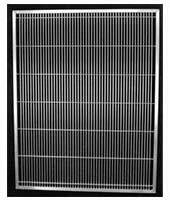 Available in different sizes, surface grits for texture and space widths of each slat. 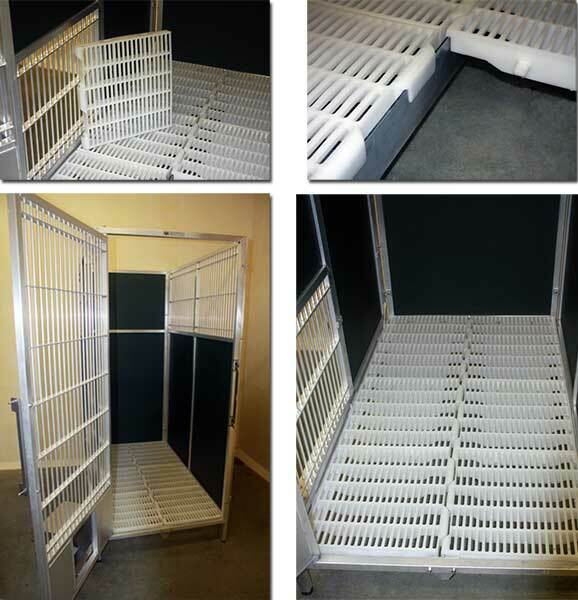 Lightweight sections are an excellent choice for raised kennel flooring.